For a taste of Australia with a Caribbean twist, look no further than Tukka Restaurant and Bar. 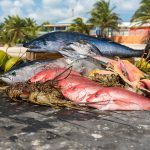 The freshest daily catch supplied by our local fishermen regularly includes Yellow Fin Tuna, Mahi-Mahi, Wahoo, Snapper, Lion Fish and (when in season) the delicious Caribbean spiny Lobster. Yum! 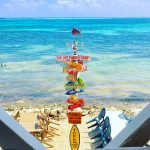 Located in the East End of Grand Cayman our outside shaded terrace overlooks the beautiful Caribbean crystal clear waters and the famous Wreck of the Ten Sails, keep an eye out for the Frigate Birds and Tarpon! 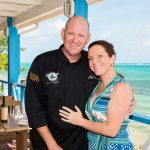 Award-winning chef with a unique Aussie charm, Chef Ron leads the team here at Tukka creating a beautiful fusion of Australian and Caribbean menu.